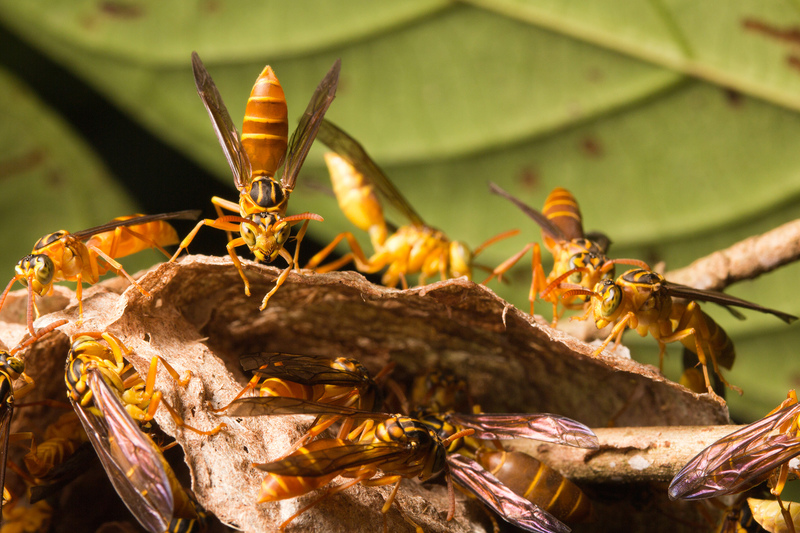 Social wasps have many dramatic and painful ways of saying” don’t mess with us”, but some animals just don’t take the hint. Red throated Caracaras are one of these foolish/awesome creatures. If you are in Victoria BC this Wednesday, come out to my talk for the Victoria Natural History Society’s Birder’s night to find out more about loud birds messing with painful wasps. 7:30 pm, March 27, Fraser Building room 159. Like the Old World Honey Buzzards, the Red-throated Caracara is a specialist predator of social wasps. 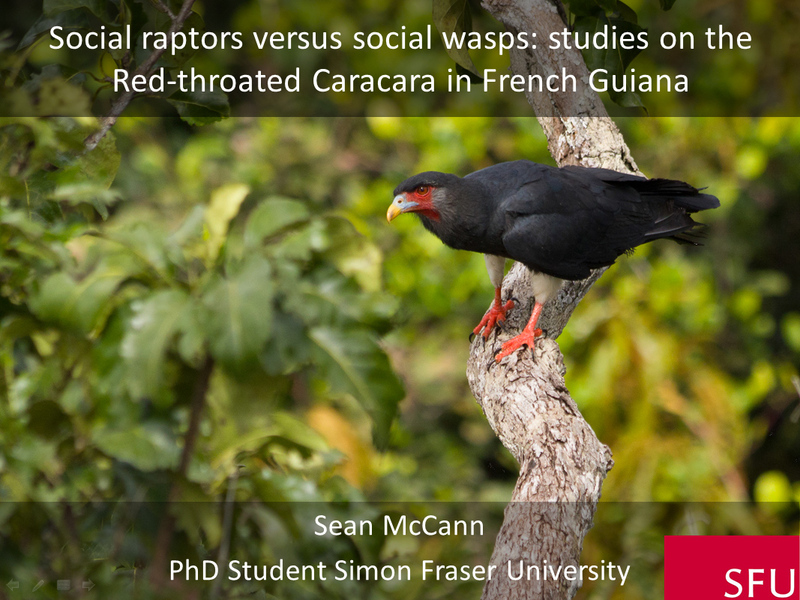 Because social wasps are well defended with stings and are avoided by many birds, we were interested in determining how caracaras deal with the defensive wasps. Using video traps to observe caracara predation on social wasps we found that they use several behavioural strategies to avoid wasp defences. Separate work using nest cameras found that up to 7 adult birds were involved in the feeding of a single chick, possibly making the species one of the most social of the Falconidae. Join Sean McCann as he talks about his 5 years of research in the South American rainforest on the unique foraging biology of this species. We meet at 7:30pm in room 159 of the Fraser building. Everyone is welcome. Bring a friend and a coffee mug. ← Weekend Expedition 10: Spring is springing in Stanley Park!